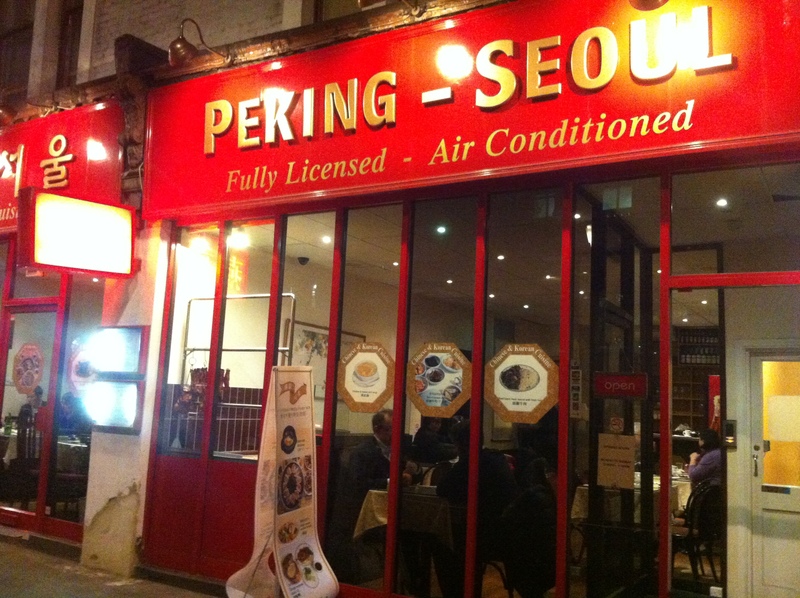 The Peking | Restaurants of the World Unite! See? It says Peking-Seoul. And let’s face it, calling something Peking is a little out of date. I suspect that it is at heart a Korean place because the Korean dishes they do are pretty darn good. And by that I mean, I’ve only ever eaten the Bibimbap and it’s jolly tasty. 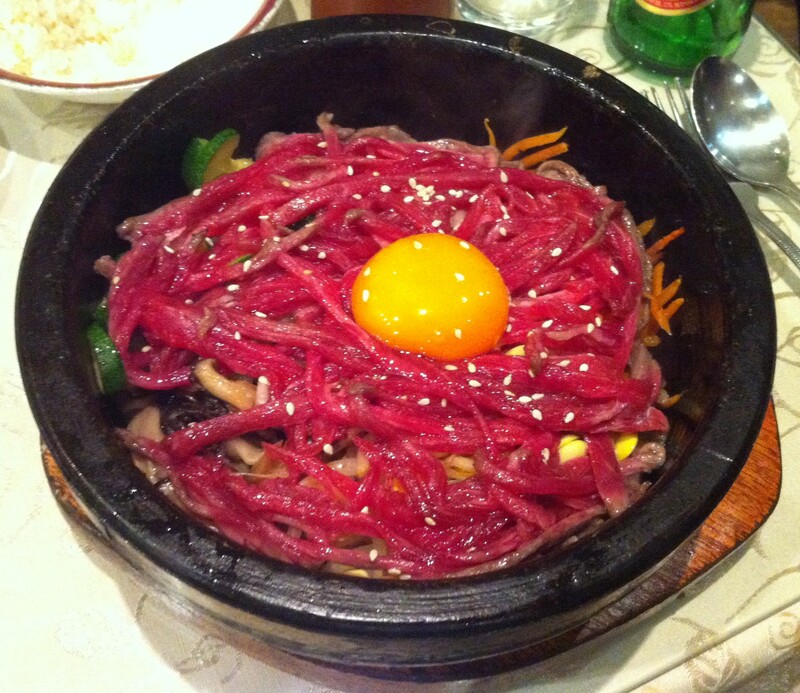 Here’s what you need to know about Bibimbap. First of all it’s a totally cool word to say out loud. Second it should be served in a red-hot stone bowl that will burn you if you handle it. Third, I won’t eat testicles. Forthly, you should be the one to stir it all up. Lastly, the egg better be raw. If they serve it with cooked egg they’re pandering to British squeamishness about raw eggs (thank you Edwina Currie – topical!) or they’re just numb of nut. I went here with my pal Monty. I generally try to hang around with people whose names are similar to mine – other names just don’t seem to cut it. He ordered from the Chinese side of the menu and had a passable looking lemon chicken. In fact, he opted for the lemon and herb option in Nando’s. He just loves lemon and chicken together that one. I now know what to get him for Mothers Day. They misread the order so we had to await the Bibimbap for a good while which gave me a chance to enjoy a tall, cool Tsing Tao (they were out of Korean beer). 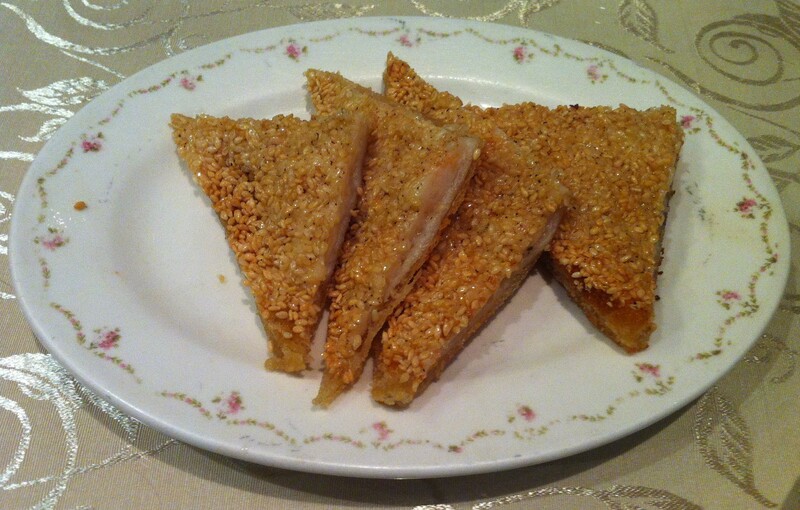 There’s little to distinguish this place from other high-street chinese places, though the K-pop is welcome. 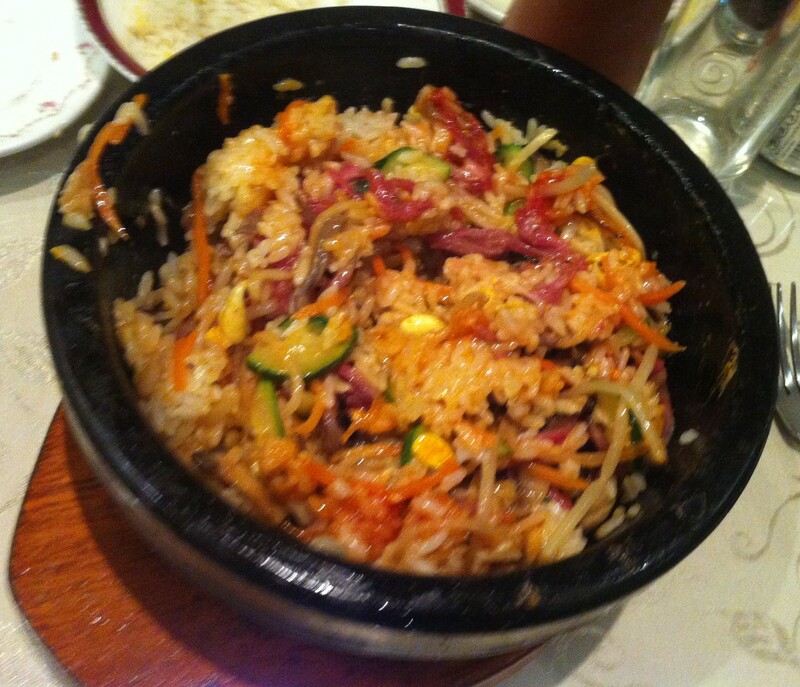 But the Bibimbap is terrific. The meat and egg get cooked as you mix everything together with the hot sauce and you get left with a mess of partly burnt rice with strips of steak. it doesn’t sound appealing, but is well worth the effort. I’ve been to Arang (http://www.arang.co.uk/) and Arirang (http://www.ariranglondon.co.uk/) (distinctive branding guys) both of which offer Korean BBQ which is awesome. If they try helping you to BBQ the meat at your table tell them you can handle it, then burn your hand on the grill and sue them. That’ll teach them. 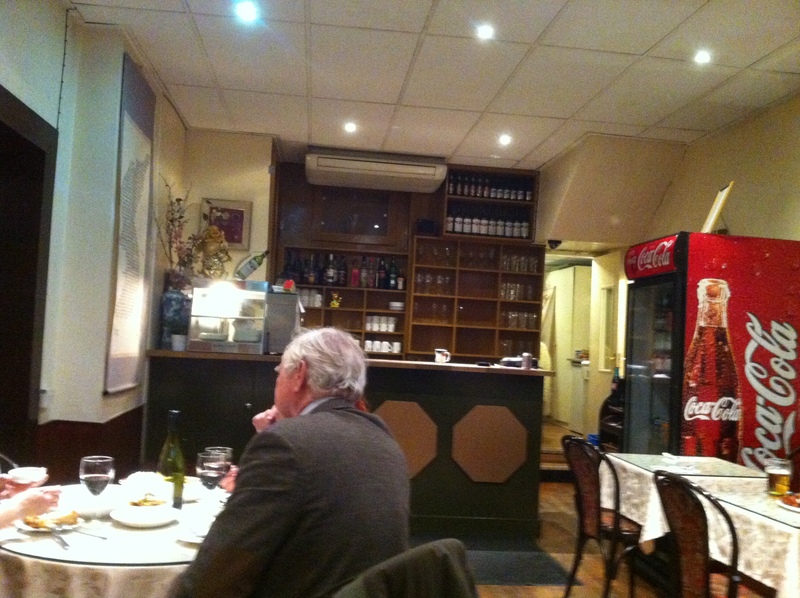 Also, order the tongue – you’ll be pleasantly surprised. Now if anyone can tell me where to find a North Korean restaurant in London that’d be really helpful. Or alternatively anywhere that serves millet and acorns. The red stuff, that’s raw meat. Under the raw egg. Like my emotions. 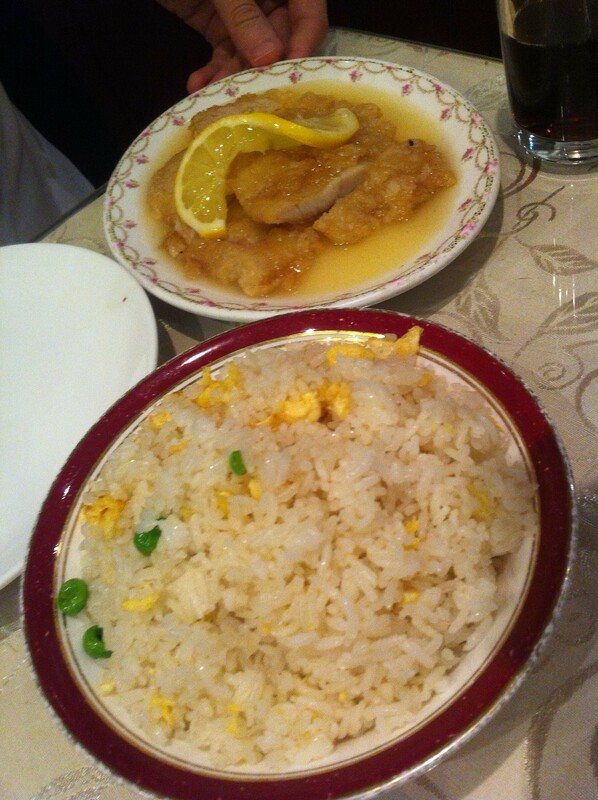 Lemon chicken and fried rice. Which is which? Come for the Bibimbap, stay for the industrial sized Coke refrigerator.